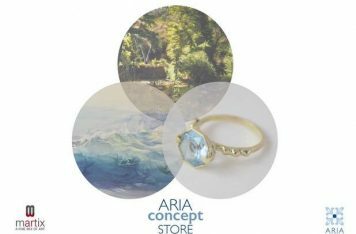 The Aria Concept Store, the art space of the Aria Hotels group, located in Chania, Crete, recently launched the group exhibition titled “Three Moons”. Supervised by art historian Maria Migadi, the exhibition showcases 17 paintings and 14 pieces of jewelry of the artists Aglaia Perraki and Sofia-Maria Xenaki and jewelry designer Iro Xenaki. The “Three Moons” focuses on the three women, representing three blood circles connected to each other as they talk, create and show their works in effective and powerful ways. 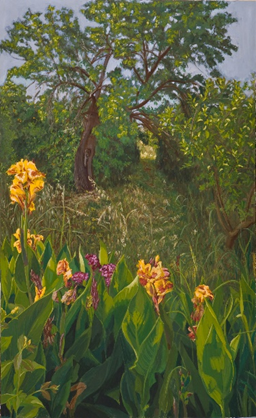 Through their art, they express themselves and interact with one another, trying to understand the thread that connects them. 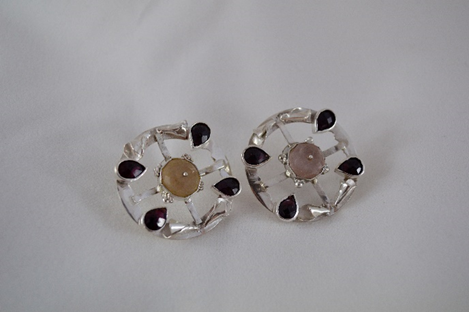 Iro Xenaki, Quartz Earrings, Silver 925, quartz and garnets. Displayed in the hospitable space of the Aria Concept Store, the exhibition will run until Wednesday, August 15. Aglaia Perraki, ‘‘Untitled’’, egg tempera on wood, 122x77cm. 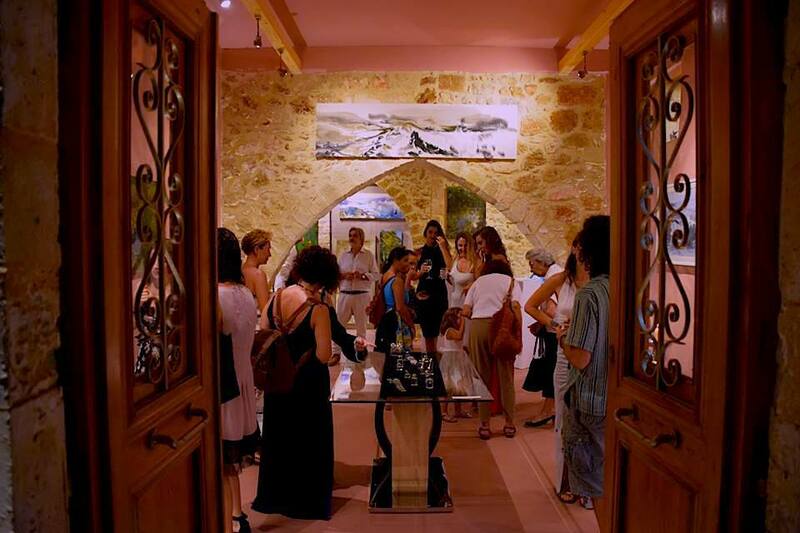 The recent opening, which attracted both Greek and foreign visitors, was held under the auspices of Aria Art Buzz, which is part of the Libra Group companies. Local tasty finger food and wine were generously offered by Loupakis Winery, the event’s sponsor. The “Three Moons” exhibition follows the successful group art exhibition “The Harbor” held at the Aria Concept Store, which included 30 paintings created by nine Greek artists. The Aria Concept Store is an art space of high aesthetics that is open throughout the year to highlight the work of contemporary Greek artists that draw inspiration from Greek traditions. It is run by Evi Vaitsi, Jessica Scott-Mavroudi and the Aria Art Buzz team.